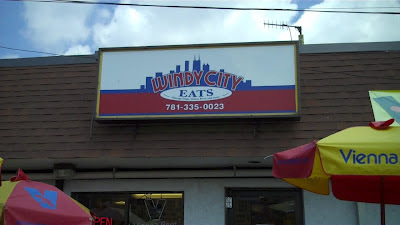 Windy City Eats in Weymouth, MA was stop number 24 on the National Hot Dog Month Tour. This 4 year old little family run hot dog shop was the first Chicago Hot Dog joint in the Boston area. Now owner Grady Carlson is the New England distributor for Vienna Beef; he plans on expanding the reach of Chicago Dogs to as many places as possible. I had a nice visit with Grady and his wife, Sen, who works in the hot dog business with her husband. Sen has a food background- she owned and ice cream shop on the west coast before moving back to Weymouth with her hubby to be closer to her family. The couple shares a vision for their budding hot dog empire and they plan to open a second location in Norwell in September. Drew Bennett was on hand snapping pictures and, according to one patron, "looking like a Walter, not an Andrew." 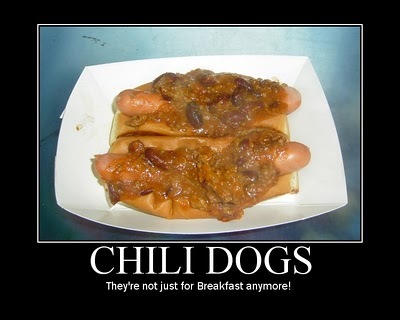 You can see his photos on the Hot Dog Stories Facebook Page. Get the full story on our visit to Windy City Eats on Hot Dog Stories.